As consumers become smarter, retailers are driven to revitalize their retail management infrastructure to deliver engaging customer experiences across channels. Retailers are increasingly experimenting with new Retail Management systems that provide modern techniques to streamline shopping experiences such as click-and-collect that enables customers to buy online and pick up from stores. Further, these solutions enable retailers to analyze both online and offline data together for a more comprehensive view across multiple channels to gain clear visibility of sales, inventory and customers. Retailers require the capability to provide a frictionless shopping experience for consumers. 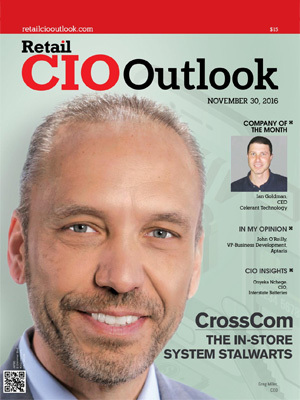 Retail Management systems empower them to eliminate flaws and friction from the shoppers’ journey. Coupled with technologies such as wireless communication, mobile point of sale, location tracking, and inventory management these solutions further streamline the overall retail workflow. Adopting the new trends, a myriad of Retail Management systems solution providers are offering biometrics, facial recognition and voice identification of customers to improve their targeted marketing efforts securely while delivering enhanced customer experience. These solution providers are also helping retailers to leverage mobile payments and EMV to bring greater flexibility and business agility while strengthening security and compliance. 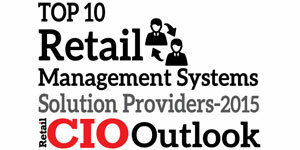 A distinguished panel comprising CEOs, CIOs, VCs, analysts, and the Retail CIO Outlook editorial board has selected the top Retail Management Systems Solution Providers. 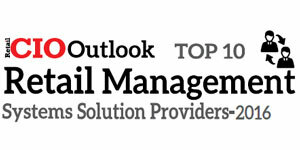 In our selection process, we looked at the vendor’s capability to fulfill the need for cost-effective and flexible solutions that add value to the retail landscape. Airmobility.net Helps retailers and product manufactures maximize the potential of employees, product sales and customer service through Field Labor Automation (FLA).